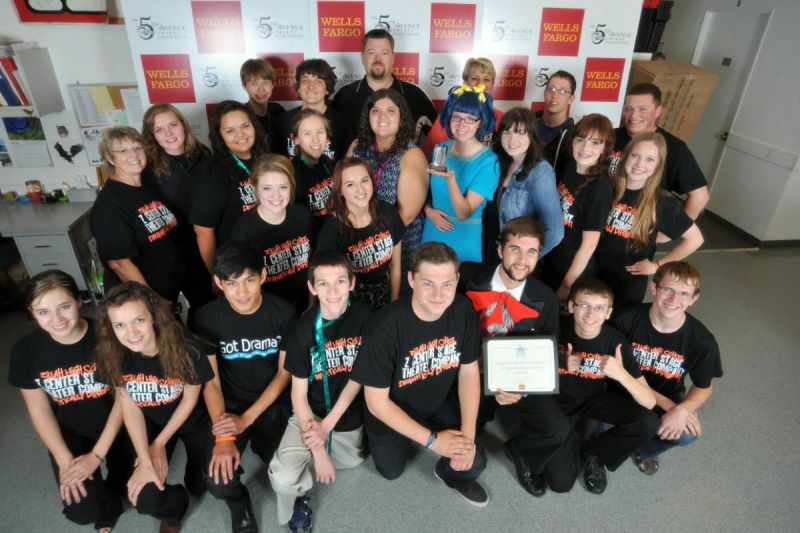 2013 5th Avenue Awards--First time nets two awards! 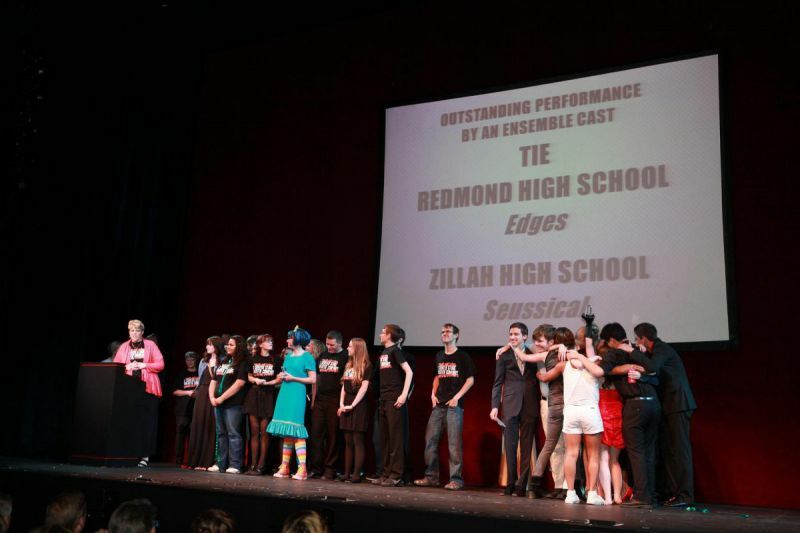 The 2013-2014 was the first time Z Center Stage opted to participate in Seattle's 5th Avenue High School Musical Theater Awards program. After applying, we spent the spring readying ourselves to be adjudicated the very first weekend we opened in May! After a lot of rehearsal, dance practices, painting with a lot of rainbow colors, and cutting things out with the jig saw, we were ready. After that first weekend, we went on to give four more show the next weekend, and then waited until May 21st when the nominations were published on the 5th Avenue Education Facebook page. When they finally came out after 5 p.m. we found we were nominated in multiple categories! Lynden Christian High School, Honk! Nicole Coppola as Artful Dodger, AuburnRiverside High School, Oliver! After the nominations, we had limited amounts of tickets to attend the Awards Show in Seattle. Some of us went and some partied in Zillah to try to watch it via streaming video. 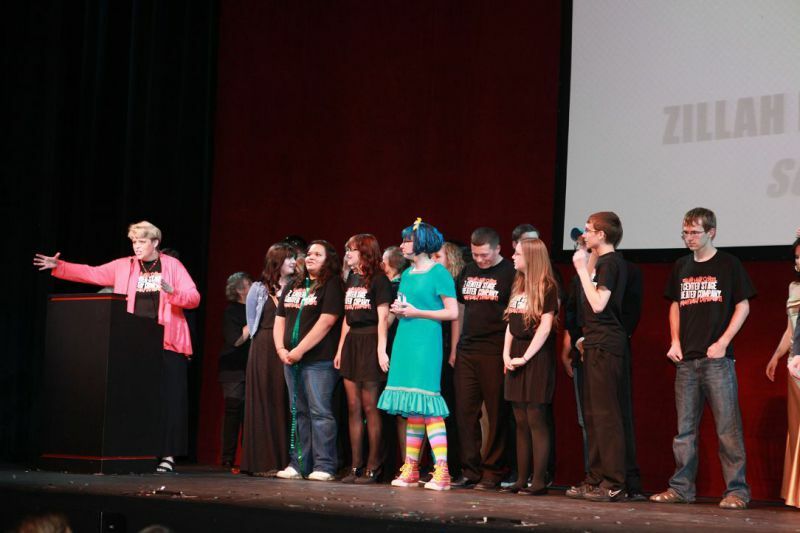 One of the first awards was for Best Costuming, followed very quickly by the Ensemble Award. We were very excited about both: the costuming award was a long time coming to our Mrs. Geffe, a volunteer that has been with ZCSTC since 1997; and the Ensemble Award honored our entire cast for their timing and work as a unit! We had an excited group after all was said and done.